This is my absolute favourite, easy, no-fail homemade almond milk recipe. And I am so excited to be sharing it with you all today. Making your own almond milk is simple, requires little ingredients and is more affordable than buying store-bought milk. Almonds are a great, creamy alternative to cow’s milk. I recommend almond milk as a substitution for cow’s milk to all of my clients! Almonds are packed with wholesome goodness and are specifically beneficial for skin health, brain health and hormone health. 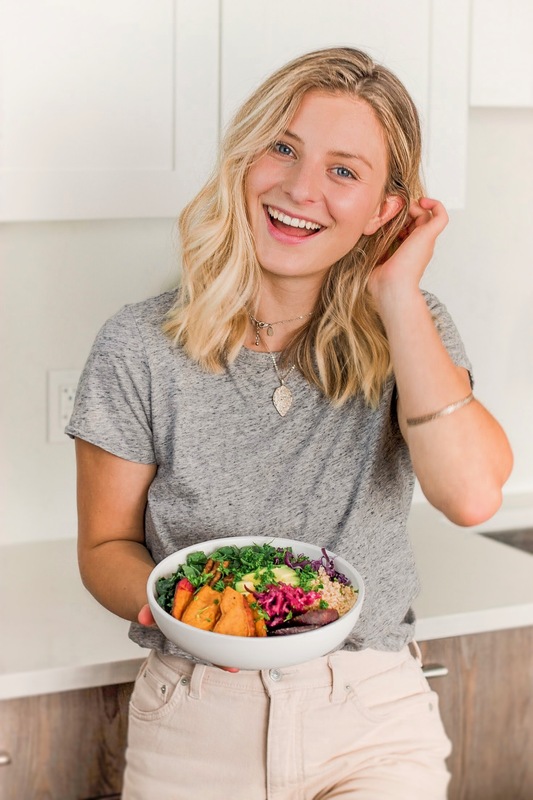 Make sure to tag your almond milk pictures with #thepurelife so I can see your beautiful creations! Enjoy. 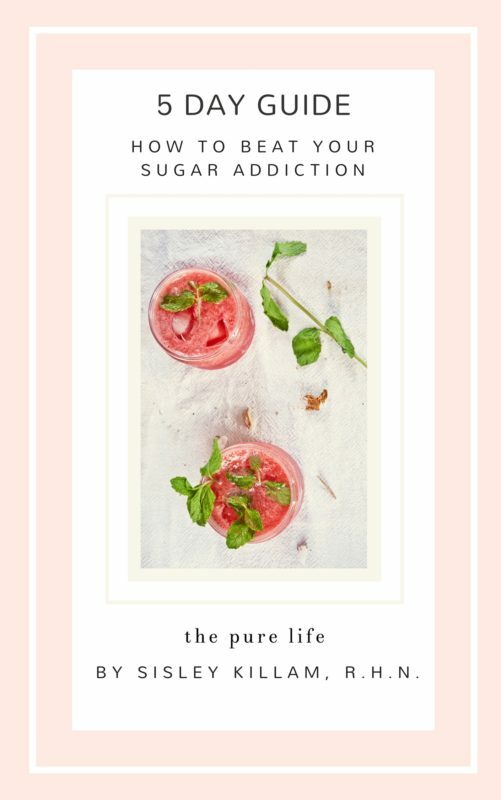 Ps – not sure what to do with the pulp? Try this recipe. 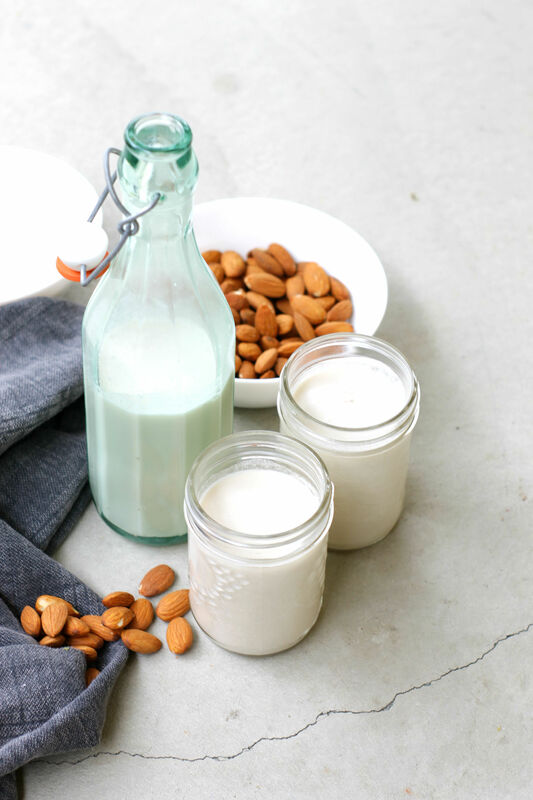 Make your own almond milk with this simple and delicious DIY recipe! Step 1 Soak the almonds in water overnight (4+ hours for best quality). If you forget this step, I wouldn’t let that hold you back from making the almond milk, just try to remember for next time as this step makes it extra creamy and delicious. Step 2 Once soaked, remove the water from the almonds and rinse them. 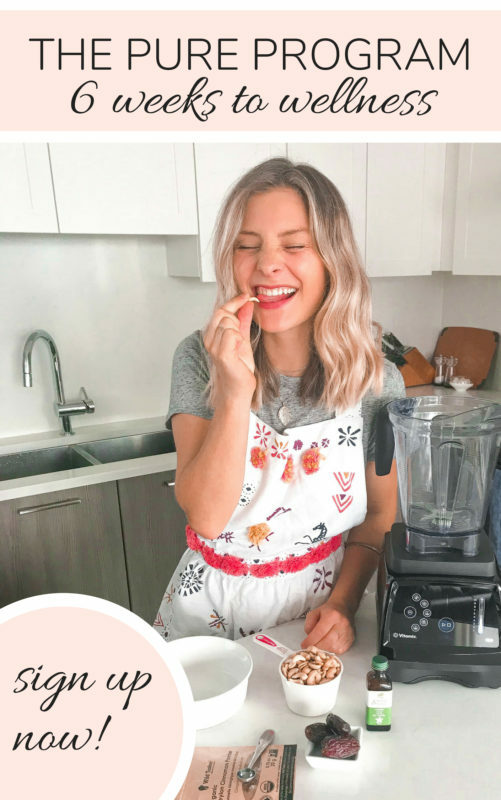 Add the almonds to your high-speed blender and add the filtered water, sweetener of choice, vanilla bean and Himalayan salt. Step 3 Blend on high for a few minutes, until nice and creamy. Step 4 Pour the almond milk mixture through your nut milk bag, strainer or cheesecloth into a large bowl. Rinse out your blender and pour the milk back into the blender. Step 5 Pour the milk into a glass jar and seal. Store in the fridge for up to 4 days. 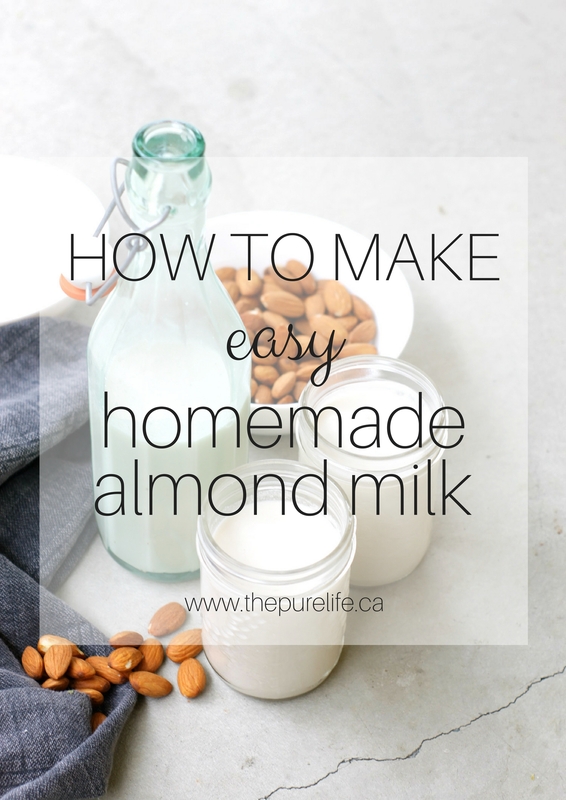 There you have your delicious, easy almond milk in just a few simple steps!